The AAMC is pleased to announce that MedEdPORTAL is officially indexed by MEDLINE, the National Library of Medicine's premier bibliographic database, beginning with Volume 14 (2018). Indexed publications are searchable through the MEDLINE database where readers have access to the full text article plus the appendices hosted on www.mededportal.org. Scholars, researchers, educators, and health care practitioners around the world use MEDLINE as the authoritative gateway to access content from the most prestigious biomedical and health journals. In addition to equipping a broader community of readers with access to innovative and high-quality educational tools and resources, inclusion in MEDLINE solidifies MedEdPORTAL as the premier journal to publish teaching and learning materials in the health professions. Please note that articles published prior to 2018 will not be indexed by MEDLINE. However, MedEdPORTAL is transmitting publication data of past volumes to PubMed Central, the national archive of the National Library of Medicine. Archiving this content ensures that all articles published beginning in June 2016 will have a PubMed ID and be fully accessible to readers. Carla Lupi, MD, FACOG, recently assumed the position of associate dean for assessment and evaluation at the new Kaiser Permanente School of Medicine in Pasadena, California. Previously, Dr. Lupi was the associate dean for faculty at Herbert Wertheim Florida International University College of Medicine. While at FIU, she worked on the AAMC Core Entrustable Professional Activities for Entering Residency, serving as the chair of the Faculty Development Concept Group. Her scholarship focuses on faculty development for EPA implementation, evidence-based medicine curriculum and assessment, the educational effect of assessment, and curricular development for family planning and human sexuality. She co-founded the Ryan Residency Training Program for Family Planning and Abortion at the University of Miami Miller School of Medicine. She serves as a member of the National Board of Medical Examiners and on the faculty of the Duke Teaching and Leading Evidence-Based Medicine workshop. Dr. Lupi and her partner of 34 years, Raquel Matas, are the proud parents of Camila, their daughter, who is about to graduate from college in May. 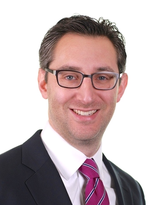 Dr. Jared Kutzin is an accomplished educator, leader, and administrator. He was previously the associate dean at the Harriet Rothkopf Heilbrunn School of Nursing at Long Island University, Brooklyn. Prior to that role, he was the director of education at NewYork-Presbyterian Hudson Valley Hospital, the director of simulation at Winthrop–University Hospital, and the director of simulation at Saint Barnabas Medical Center. Jared is a registered nurse with advanced degrees in health policy and management, public health, leadership, and medical education. Jared is certified in health care quality (CPHQ), patient safety (CPPS), and simulation operations (CHSOS) and as a nurse executive–advanced (NEA-BC). He currently serves as the SSH’s Certified Healthcare Simulation Educator (CHSE) Committee chair and as an Accreditation Committee site reviewer. Jared has been a MedEdPORTAL reviewer since 2011 and a member of the MedEdPORTAL faculty mentor group from its inception. Widely published, Jared has presented internationally on topics including simulation-based education, nursing and medical education, and patient safety. MedEdPORTAL actively encourages educators across the health professions to submit generalizable educational materials with a focus on self-directed learning. The rapid advancement of medical knowledge and accessibility to information have created new opportunities and challenges for physicians and those educating physicians. This evolving healthcare environment requires physicians adept at continuously identifying, assessing, interpreting and applying new information. Developing critical skills to identify gaps in knowledge, appropriately appraise resources and communicate relevant information are fundamental to successful delivery of high quality, safe patient care. Academic medicine is paving the way for the next generation of physicians that are self-directed, lifelong, master adaptive learners. Please see the full call for more details. MedEdPORTAL actively encourages educators across the health professions to submit generalizable educational materials with a focus on American Indian, Alaska Native (AIAN) and Indigenous Perspectives. While very diverse, AIAN and Indigenous populations share similarly sophisticated and holistic approaches to health. Despite these strengths, AIAN and Indigenous populations experience alarming health inequities. Furthermore, there is a paucity of existing curricula that teaches about this unique population, and fewer opportunities for students and institutions to learn from an Indigenous worldview as it relates to health. Please see the full call for more details. 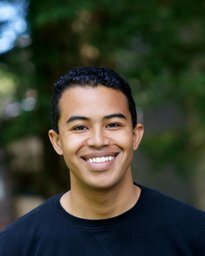 Dereck W. Paul Jr. is an MD candidate in the class of 2021 at the University of California, San Francisco (UCSF) School of Medicine. He was born in Queens, NY, to immigrant parents from Guyana and Trinidad. At UCSF, he conducts research in the social determinants of health for underserved populations at the Center for Vulnerable Populations, Zuckerberg San Francisco General Hospital, under Dr. Margot Kushel. His research on the relationship between racial discrimination, homelessness, and health is supported by the David E. Satcher, MD, PhD Fellowship for Health Disparities Research and the 2018 Dean’s Prize in Research for Health & Society at UCSF. Dereck is a co-president of the Student National Medical Association’s UCSF chapter, where he supports the organization’s mission to foster the success of underrepresented students in medicine, promote diversity and inclusion, and improve the health of underserved communities in San Francisco and the East Bay. He is an advocate for health equity and an active member of the White Coats for Black Lives chapter at UCSF, where he has co-led initiatives aimed at bringing attention and change to the epidemics of state violence and gun violence. Peer reviewers serve as important quality gatekeepers for MedEdPORTAL. While often unrecognized, the critical appraisal of submissions by reviewers and the dedication and hard work of our associate editors is vital our success.